Once you get past the Foundation Level - it wont take long! - you are free to pursue different skills and levers as you fancy. But how do you fit your skill training into your workouts? Maybe you can only train 2-3 days a week. So how are you supposed to go about fitting in your strength and skills and cardio and progressions and variations and everything in such a short amount of time!? The secret, the One Workout Framework. If you can only train a few times a week, you want to make sure you are getting the most out of that time. One thing you certainly don’t want to do is start neglecting one aspect of your training in pursuit of another. I came up with this One Workout Framework to create a simple template you can use to make sure you are covering all of your bases whilst enabling you to advance forward towards your individual goals. If you are short of training time - and most people are - then this is the answer you have been looking for. The first thing to consider is what you NEED to be doing. So you have to fit it all in. That is a long workout if you aren’t efficient. You can double up your cardio and strength training with Cardiac Shunting and big compound moves. You can double up skill and cardio with dynamic progressions and low level conditioning exercises. You can double up strength and skill training with dynamic skill progressions. So which one do you do? Keep you skills separate, and make sure your big strength exercises are making you sweat. Next on the agenda is your energy levels. You need to do the right exercises at the right time in your workout, so you aren't wasting energy on easy exercises and leaving yourself out of energy for the harder stuff. I know, it all seems so complicated doesn't it!? Luckily I have the solution for you! Front loading your training is when you do all of the hardest stuff first. If you wait until later to do the more difficult stuff, you wont be able to do it as well because you have wasted your energy on easier exercises! That is not how to progress. There is one thing I failed to mention though, skills. With skills it is slightly different. Skills progressions are often isometrics (holds) which means they take up a lot of energy, and they are probably quite difficult for you, which is why you are doing progressions. The problem with skills is that they often a lot of muscle groups all over your body, particularly the shoulders and trunk. So they will probably pre-fatigue your shoulders and core quite a lot. But the flip side is that if you do your strength training first, you will pre-fatigue EVERYTHING. You need super strong shoulders, and you need super strong core muscles, so really it is a blessing in disguise. If you are working your skills, I’d suggest front loading the skill progressions / conditioning, then going on to strength afterwards. This way you can work the harder skills when you have the most energy. 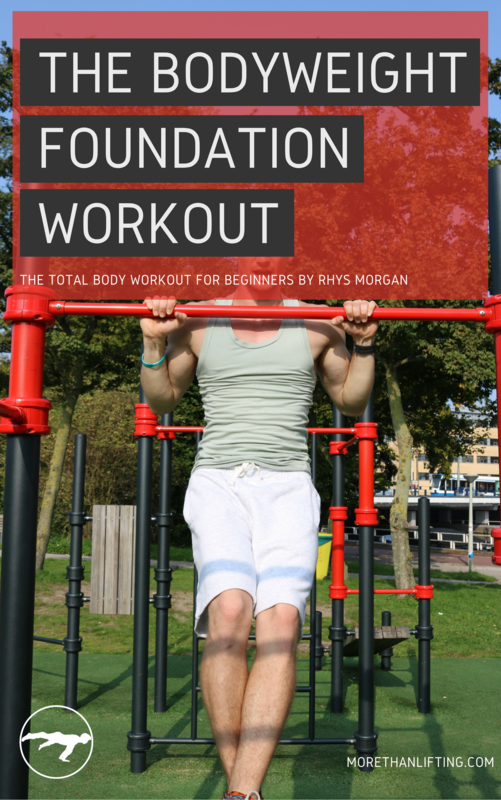 The One Workout Framework - Advanced Calisthenics Training In One Session! See The Foundation Triset for the perfect template. Finish off with a crazy set of low level conditioning exercises to maximize your results. Using this simple training template you can cover all of the important stuff in a short amount of time. Perfect for busy guys and gals who don’t have time every night to go training! And the best thing is you arent neglecting any elements of your training! Having high fitness goals when you are busy often seems out of the question. The good news is it doesn't have to be. You can fit this workout into about 40 minutes if you refuse to sit down or check your phone while you are at the gym. When you take this template and apply it to your level of training you will be providing your body with ALL of the aspects of physical strength and health. No you aren't going on long runs, but unless you want to run a marathon, I'd argue that it was bad for you. Push your boundaries, use the short time you have to train to maximize your results with this framework. It is simple, effective and it can change with you as you develop new skills.